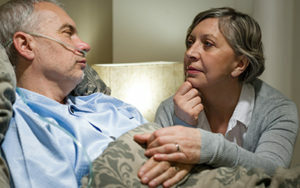 Providing full-time care for a loved one can be a rich and rewarding experience. But it is also very demanding and, every now and again, you will need a break from providing care. This could be following a decision you have made yourself, or following an assessment from your local authority. Our Respite Care service is designed so that we can act as care relief for family members or friends who act as main carers. Our professional and dedicated care staff can slot straight into your daily routine with a minimum of disruption to the person being cared for. This leaves you safe in the knowledge that they will continue to receive the same level of assistance that you provide. It’s possible that you may be able to receive funding to cover the cost of Respite Care. You can contact your local authority who will undertake a Carer’s Assessment. The assessment will help to determine what you can receive by assessing the type of Respite Care you will need. Please contact us to discuss your Respite Care needs with one of our team.